Hendrick Goltzius | Vivat! Crescat! Floreat! 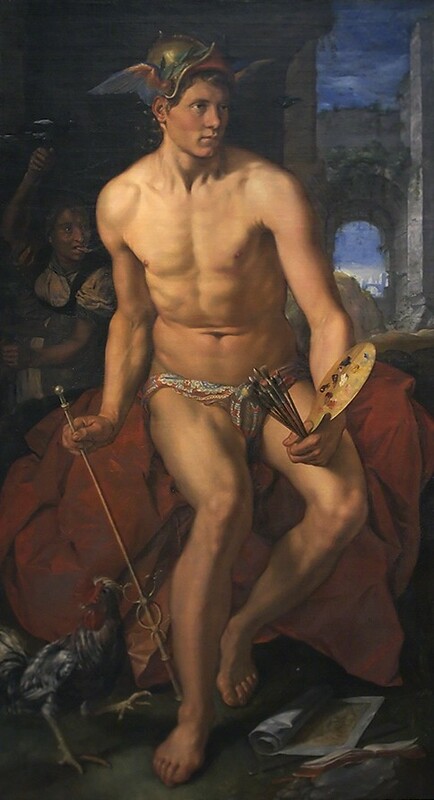 This Mercury has exactly the same dimensions (204 × 120 cm) as the Minerva the artist painted in the same year, they are obviously intended as a pair. 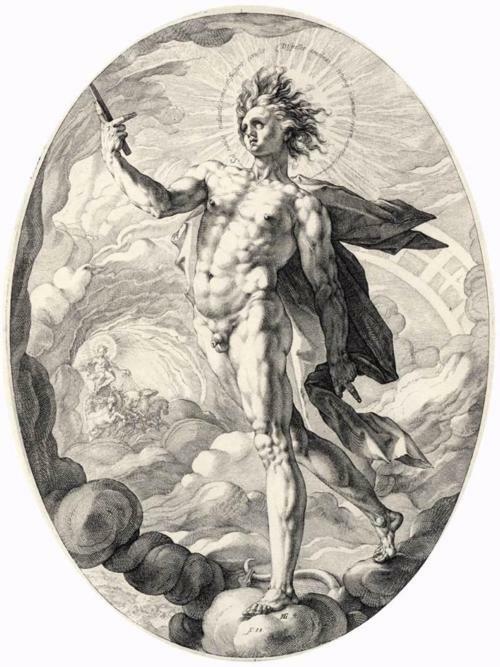 Hendrick Goltzius: Apollo (1588, engraving, Amsterdam, Rijksmuseum).